The wedding is conducted according to Arya Marriage Validation Act XIX of 1937 and is solemnized according to Vedic rites. In these weddings, the pooja is not performed to any specific deity because the Samaj doesn't believe in idol worship. Fire and the other elements are the only witnesses to the ceremony.Simplicity is the hallmark of Arya Samaj weddings. The rituals performed are the ones prescribed by the Vedas and the mantras are translated into the Tamil / Hindi / English so that the couple know what the meaning of their marriage vows. Arya Samaj Marriages held, are very simple in affair and the Vedas are translated into Hindi/English, so that everybody can understand it. Couples, other than hindu religion has to first get converted into Hinduism, by a process called (Shuddhi) meaning complete purification which is done by their consent and then, they can get married according to Arya Samaj Teachings. 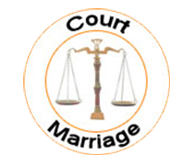 The marriage certificate awarded by Arya Samaj is completely valid and getting which you become legal husband and wife. After getting Marriage Certificate, neither one can make any harm to you legally nor this certificate be challenged in any court. Furthermore, on the basis of this certificate you can register your marriage in Marriage Registrar Office. An Act to recognise and remove doubts as to the validity of inter-marriage current among Arya Samajists. »	Substituted by the Adaptation of lows Order, 1956 for the words part B State these part B states were Hyderabad J&K Mysore pepsu, Rajastha, Saurashtra and T.C. »	Marriage between Arya Samajists not to be invalid. »	Marriage between Arya Samajists 1 not to be invalid. Arya Samaj Mandir,Arya Samaj Marriage in Delhi,Noida,Ghaziabad,Gurgaon,Meerut,Faridabad,Jaipur,Dehradun,Agra,Aligarh,Allahabad, South Delhi, Noida, Gurgaon, Ghaziabad, Faridabad,Hanuman Road,Harit Vihar,Sant Nagar Burari,Tis Hazari,Lajpat Nagar,Not standing with any provision of Hindu Law, usage or custom to the contrary no marriage contracted whether before or after the commencement of this Act between two persons being at the time of the marriage Arya Samajists shall be invalid or shall be deemed ever to have been invalid by reason only of the fact that the parties at any belonged to different castes or different sub –castes of Hindu or both of the parties at any time he marriage belonged to a religion other than Hinduism. Age Proof : (Voter I.card, Driving Licence, Matriculation Certificate) one of these. (Voter I.card, Driving Licence, Matriculation Certificate, Passport) (one of these). Photograph : (7-7 Passport size photo ) Boys & Girl both. If any party is divorcee – Certified copy of Decree of Divorce granted by the Court. Death Certificate : If any party is widow / widower – Death Certificate of the dead spouse. No Impediment Certificate / NOC from concerned Embassy and Valid VISA.